Jabil, a global manufacturing services company, has established a Materials Innovation Center in Minnesota to develop polymer filaments and powders for additive manufacturing. This 50,000 sq ft facility will produce Jabil Engineered Materials specialized to meet customer requirements. 3D Printing Industry caught up with the Vice President of Digital Manufacturing at Jabil to learn more. “One of the biggest hurdles of additive manufacturing adoption is materials,” said John Dulchinos, Vice President of Digital Manufacturing at Jabil. “Our ability to integrate new engineered materials into our ecosystem of 3D printers and rigorous processes will transform a new generation of additive manufacturing applications, including those for heavily regulated industries, such as aerospace, automotive, and healthcare. 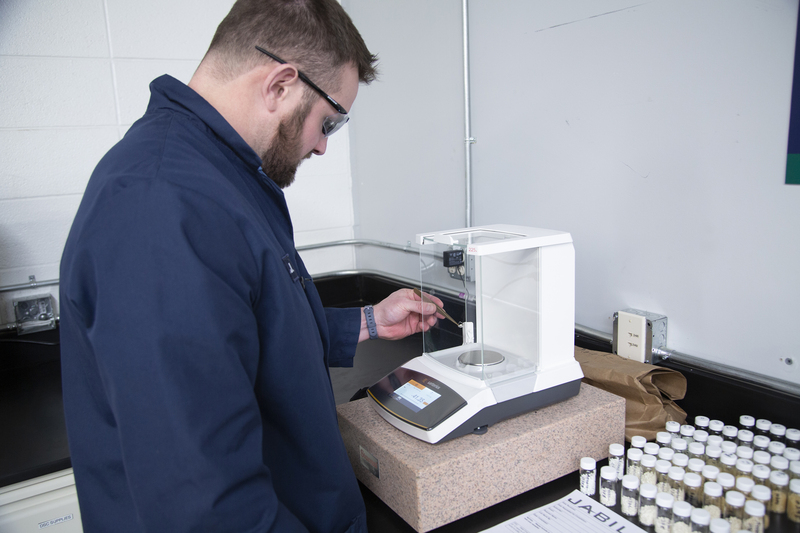 The Chemical Lab where Jabil Additive Manufacturing experts and chemists mix different raw materials during the formulation of Jabil Engineered Materials. Photo via Jabil. 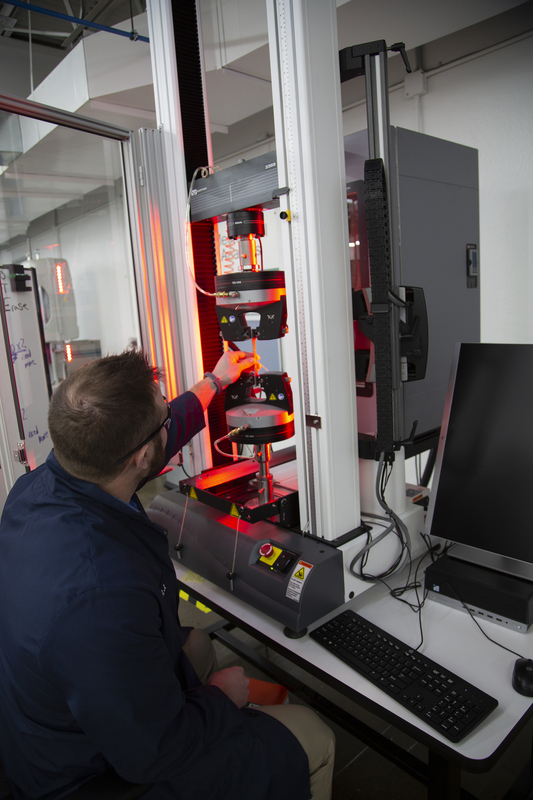 The Materials Innovation Center maintains over 20 industrial open source 3D printers as well as approximately 40 employees comprising of engineers, chemists, and materials scientists. As an ISO 9001 certified facility, the facility will evaluate, qualify and validate 3D printing materials with certified machines and processes for specific application requirements. Within its characterization laboratory, Jabil Engineered Materials are altered to demonstrate characteristics such as flame retardancy, conductivity, lubrication, and Electrostatic Dissipativity (ESD). Ultimately, Jabil intends to develop unique materials while reducing time-to-market and cost to produce the optimal parts. This approach will deliver custom materials in approximately two weeks as opposed to the previous six-month span. The materials are additively manufactured separately at external Jabil facilities. Strength Testing: Each engineered material undergoes rigorous strength testing to validate durability and performance for a variety of applications. Photo via Jabil. In addition, the newly established center offers services including compounding, extrusion and powder creation as well as complete system integration on standard, open source FFF and SLS platforms. Previously, Jabil achieved significant cost and time reductions for low-to-medium volume manufacturing with Ultimaker 3D printers at their Auburn Hills facility. Jabil Engineered Materials are available from distribution partners, such as Chase Plastics and Channel Prime Alliance. Also, print profiles for these materials will be available through Ultimaker Cura software.